This weekend sees the silver anniversary of Liverpool festival staple Africa Oyé – a silver lining on what have been a rather cloudy past few weeks. It is the largest UK festival devoted to music from the African diaspora but more locally a chance to forget currents ills, relax and have a good (free) time. This all-inclusive festival is lovingly staged once a year to offer a cultural experience second to none. Its quality and atmosphere are now the stuff of legend and it’s right on your doorstep. 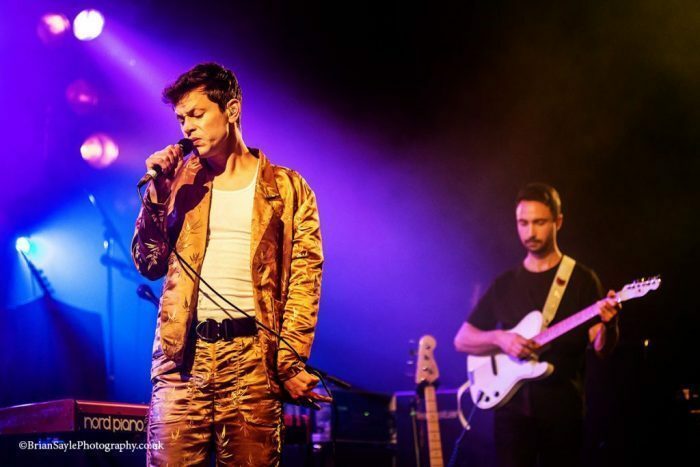 This year Oyé will celebrate its landmark anniversary with a line-up of some of their favourite artists from previous years as well as showcasing local talent. There will be over one hundred traders selling handmade goods from around the world as well as fairground rides, workshops, DJ areas and food. Oh yes, the food. People go crazy for the culinary delights at Oyé – including myself, who one year spent one whole hour in a queue for jerk chicken. It was good chicken, though. In the run up to the 2017 edition we spoke with director Paul Duhaney, reflecting on Africa Oyé’s history, present and future. After moving to Liverpool from London in 1999 Paul joined the Oyé team as a trainee under founder Kenny Murray but became sole director when Murray retired four years ago. Murray, after finishing a degree at Glasgow University “back in the day”, as Paul puts it, travelled through Africa falling in love with its music. On his return he felt he needed to settle but also to organise a way in which the music he now loved could be showcased. “He stuck a pin in a map and came up with Liverpool. Pure coincidence that it happened that way”. What a lovely story we say and Paul agrees, considering Liverpool’s deep and often troubled relationship with the African continent. Liverpool has the oldest black community in the UK and we muse on the fact that the festival is an opportunity for said community to come out in full force, celebrate and be celebrated. At Africa Oyé our city’s beautiful multicultural population is on full display. Personally, this writer adds, that as a black scouser Oyé is an opportunity for me to connect with my own heritage and hear artists that I would never encounter otherwise. “It’s an education, isn’t it?” adds Paul. 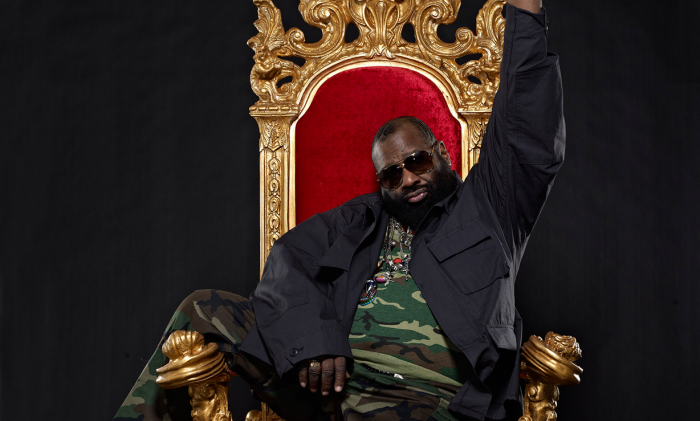 “I was quite shocked when I started to get involved [in Oyé] that it was quite hard to sell it to the black community but then [the black community] its older here, you’re further back in the generations and I’d say local people had more of a connection to West Indian or American music – R&B and stuff rather than African Music”. But sell it they did and now, Paul says, even if he were to remove the more familiar acts from the bill, local communities are now more appreciative of the African sound and would attend regardless. 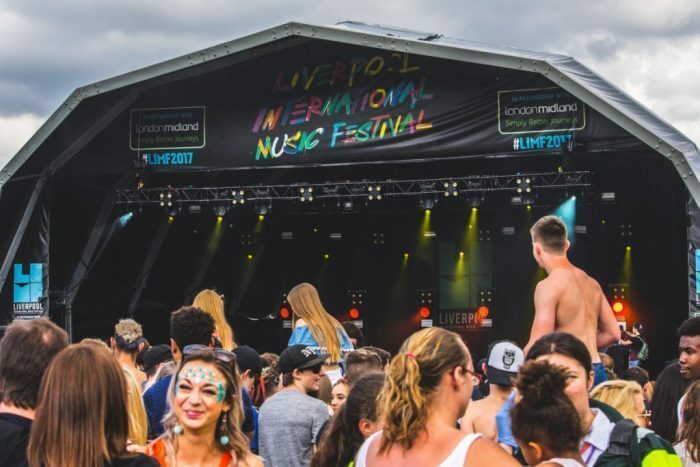 However, Oyé is not simply a local music festival and as mentioned previously, despite the serendipitous nature of the festival occurring in Liverpool the fact that it does take place on Merseyside is largely coincidental. Oyé is a heavyweight internationally, in terms of African music festivals. “Every one of the [artists on the bill] is a household name in their own countries. We spend a year putting together the programme and always try to get the best music,” says Paul. Indeed, the team travel across the globe in search of the best line-up “We went to a conference and festival in Cape Verde this year and one in Marseille that was showcasing African artists… in the past we’ve been to South Africa, Uganda, just all over really. Just trying to look for new music. Oyé in fact is a sense a gateway to the UK market which makes perfect sense. And it is this fact that keeps the Oyé line-up filled with quality music acts year on year. “For instance, Makoomba who are headlining on the Saturday, they’re one of the biggest young African bands around at the moment and we put them on in, I think, 2009. We toured them around the country; they then got on Later…with Jools Holland. We went to them and asked them to come back this time and we couldn’t pay them what the fee they charge now but they remembered that Oyé put them on when no one would feature them”. We discuss the artists featured at Oyé and chat about how some of the acts have seen real struggle in their lives and what we can take away from this fact. The world is in a bit of a grim place at the moment and the opportunity to hear from those who have struggled before is often quite comforting. “You think things are bad but they can always be worse,” Paul says. “I had a band last year try and apply for visas and when asked for an address, they didn’t have one – they lived under a flyover in Nairobi. We had to put it down in the manager’s name or something but it just goes to show things like that we take for granted are normal to them”. That positivity, that determination in the face of such hardships is inspiring and part of what makes the atmosphere at Oyé. “People use that as a bit of therapy for the weekend. Celebrate what we do and what we are. Healing process… So it’s probably come this year at the perfect time” and we agree. We can’t help but ask ourselves whether events over the past few weeks have put a dampener on the planning of the festival or meant any significant changes to security etc. “One of my biggest pressures doing this is being in charge of thousands of peoples’ welfare,” he confesses. “There will be a bit of increased police presence this year but that is to be expected. We’re trying to just carry on business as usual”. Africa Oyé has always been a particularly peaceful festival. “Last year we had our police briefing after the festival and they reported zero arrests were made. That’s pretty impressive. The only arrest we’ve had over about the last ten years was down to a domestic incident or something,” he laughs. What about the future of the festival? Will it move again if attendance numbers continue to rise? “The way Sefton Park is segmented it would be really easy to extend it, have different stages. One thing I would love to do in future, budget allowing, would be an acoustic stage. Somewhere a bit quitter to feature guitar players, kora players, stuff like that. We try to move forward all the time and have something new every year. 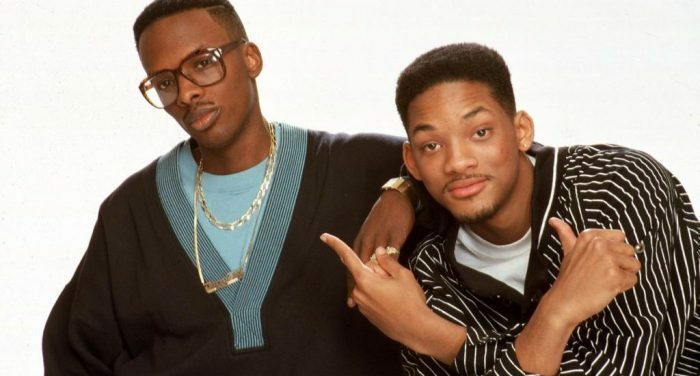 This year there will be a few more surprises with it being out 25th anniversary”. We then discuss just how long 25 years is to which Paul replies “A nice story for me is that I get people coming up and saying that they’ve been coming since they were a kid and now they bring their own. There’s a whole generation of people that have been going since they were seven or eight years old and now they’re in their twenties. It’s a legacy we’re building”. And that in a sense is Oyé’s ethos – inclusivity, cultural education. “We always try to think of those people who wouldn’t normally get to do something like this”. We say with some bias that we are spoilt for choice when it comes to free cultural spaces and events in Liverpool. “We have one of the best summer festival programme in terms of the country around. A lot of ticketed events but also a lot of free events that are of good quality. We should be commended for the way that we support culture in this city”. And he’s not wrong. In stereotypical British fashion we couldn’t help but discuss the weather considering that on the day we chatted there was rain and gale force winds, only a couple of weeks prior to the event. “I really do get to the point now where [weather watching] does become stressful. If it was back in the day in the organic beginning stages then we wouldn’t lose or gain any money if it was a bad weekend. It’s just that so much depends now on bar sales and stuff. We think about the custom Oyé brings to local businesses, hotels, taxi’s and stuff and two bad days really does cost those guys a lot of money”. We empathise with Paul on the stress of organising something so grand the success of which can be so dependent on something as uncontrollable as the weather and commend him for doing soldering on. As a regular Oyé punter we are extremely grateful for the efforts of him and his team. “Tell you what though. There’s this guy – they call him the coconut man. He sells coconuts at festivals and it notorious for not applying for them if the weather is going to be bad … He called me this morning asking if we had any space and I said yeah! He says Liverpool is going to be good that weekend. So that cheered me up a bit”. Judging from our BBC weather app we’d say the coconut man is once again right and we’re looking towards summertime shenanigans. The 25th edition of Africa Oyé takes place at Sefton Park on Saturday 17th and Sunday 18th June. Entry is free. 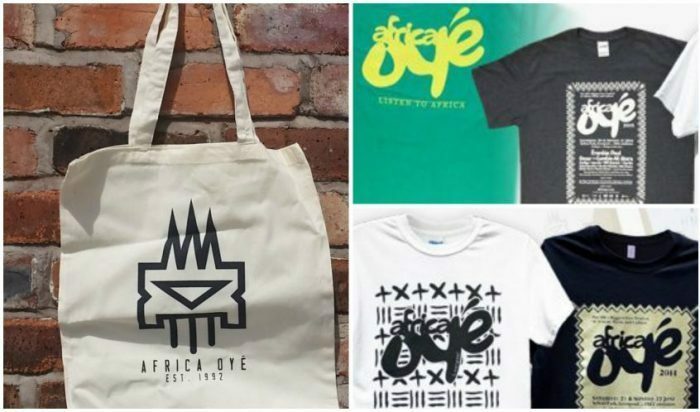 Look fly and win yourself an official Africa Oyé t-shirt and tote bag combo bundle. To enter the competition and increase your chances of becoming the envy of everyone who is lucky enough to lay their eyes upon you simply do one of the following. Each counts as 1 entry, so do all 5 and quintuple your odds. 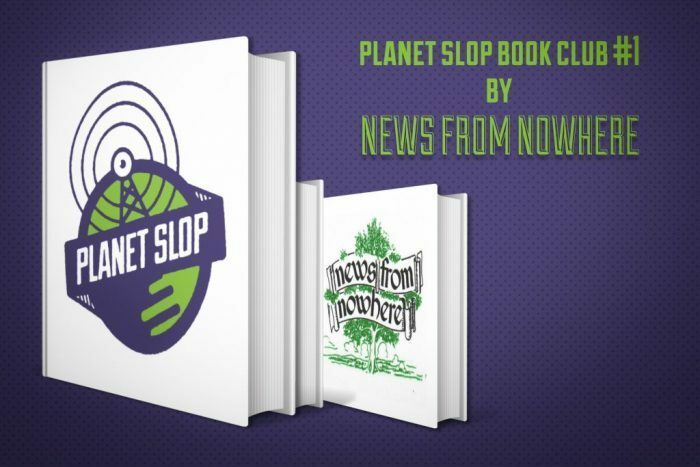 > Sign up to the Planet Slop mailing list here.